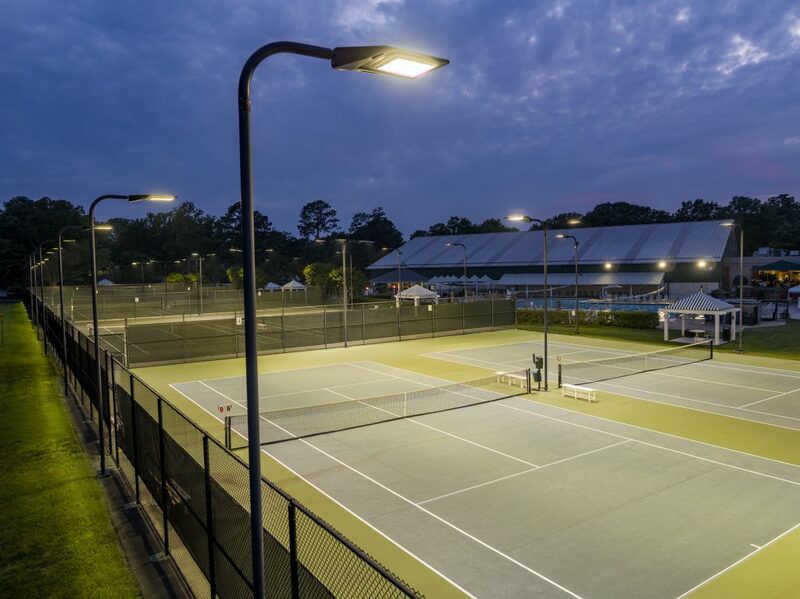 Completed in Spring 2018, Frasure Reps supplied (24) LSI LED CourtBlade fixtures for eight tennis courts at Westwood Racquet Club in Richmond, VA. The Club had existing LSI metal halide Courtsider XL assemblies and wanted to convert their existing fixtures to LED. The metal halide fixtures were retrofitted to the LED CourtBlade fixtures while keeping the existing poles and brackets. 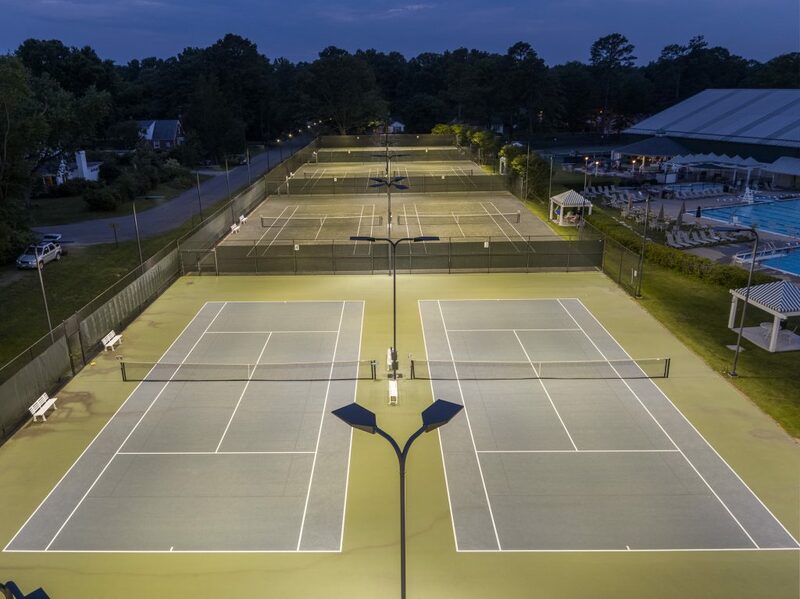 There are 6 fixtures per court, providing slightly more than 40 footcandles average with excellent uniformity. The Club is across the street from a residential neighborhood so reducing light spillage into the neighborhood was a key objective for this project. Through the use of external rear shields on fixtures closest to the neighborhood (see picture below), we were able to prevent excess light from trespassing on the residents. Established in 1927, Westwood Racquet Club is a premier private tennis club featuring twenty tennis courts (9 indoor courts and 11 outdoor courts) along with squash and racquetball courts. To learn more about Westwood Racquet Club, please visit their website or visit their social media pages.